Using our unique system and network of companies, innovative technology and ideas are being successfully commercialized worldwide. BV has dual objectives, on the one hand, helps startups in Thailand and Southeast Asia access early-stage capital through our integral ecosystem, while on the other hand, within its network in innovative and game-changing technology, empowers companies with ambitious global objectives to reshape industries and services. BV plays an active role throughout a startup’s as well as enterprise’s both private and government lifecycle, helping management teams to achieve critical milestones. BV’s ultimate goal is to SCREEN & SCALEUP for Startups as well as Enterprises directly and indirectly through partners with likeminded people in fast-growing startups and innovative domain in order to optimize creating a new sustainable enterprise that enabled by technology. 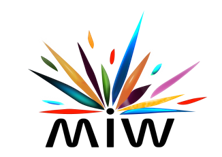 With our global affiliates network spanning two dozen countries, and our sustained track record of generating dazzling business opportunities for our clients, MIW stands proud as the leading pathfinder for Israel's thriving technology industry.<br /> We're movers and shakers, passionately pursuing every lead both at home and overseas with a dynamic, goal-oriented approach. Our strength lies in bringing together the world's most groundbreaking technologies - and those who will benefit from them the most.<br /> Our extensive business experience has also taught us to never forget it's not bytes and pieces we're dealing with - but the fruits of human genius and people's life-long dreams. Petra Venture is a private equity and M&A advisory firm based in Singapore, focusing on technology-related companies. The firm also assists companies in public flotation via IPOs on Nasdaq, OTC Markets and ASX. The founders collectively have experience in investment banking, private equity, pharmaceutical and biotech industries. 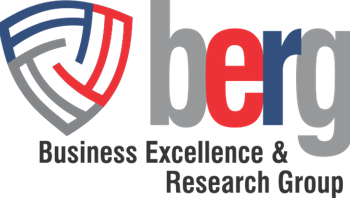 Business Excellence & Research Group Pte Ltd (BERG), is a Singapore-based entity committed to nurturing and promoting business excellence across diverse sectors. In this quest, BERG has gone on to establish thought leadership platforms over the past three years since its inception. The manifestation of the various initiatives have been in the form of summits, conferences, business networking sessions and recognition through awards. Combined with a sustained communication process in the international media and through in-house knowledge initiatives like the AsiaBizToday, the effort is to have an ongoing dialogue and be a catalyst to find practical solutions. Boonchoo Counselor Ltd. is a Thai law firm based in Bangkok, and a member of a strategic network of Legal Professionals throughout ASEAN, serving local, regional and overseas clients doing business in Thailand, as well as expanding their business into neighboring countries. From our offices in Bangkok, we attend to each client’s requirements thoroughly and expeditiously; when necessary, we are able to draw upon our trusted network counterparts and ensure our clients’ broader legal and business demands are properly met. For those that are expanding rapidly in this region and are still acquiring a full grasp of the local ways and customs, we provide a full range of business services at the same professional level. 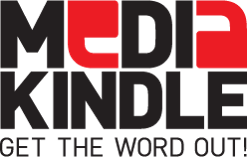 Media Kindle is an end-to-end live media solutions firm! It offers high-level Content, Editorial, Conference Design, PR and Communications service and thereby helping clients to explore opportunities to collaborate and invest in the thriving Indian market. Media Kindle helps companies find a foothold and provides a direct route for its clients to target the right audience explicitly interested in the Indian market.